Duofold Men's Sleepwear - Layering & Thermals KMW1 - Here is your all-purpose everyday use thermal designed for warmth and comfort soft two-layer protection barrier, combined with a close-to-body fit and softness for superior comfort moisture control to stay dry and a tag free label all with comfort in mind Cold weather, low-impact activities. Double-layer thermal for warmth in cold weather. Flat lock seams to avoid irritation. Moisture control. Duofold Men's Sleepwear - Layering & Thermals KMW2 - Classic 2-ply cotton-rich thermal underwear. Close-to-body fit with convenient front fly. Tag-free elastic waist wicks moisture for added comfort. Choose these base-layer bottoms for everyday warmth during low activity levels. Soft texture-rich knit traps air between two thermal layers. C vapor technology wicks sweat away from skin for drier, cooler comfort. Result: a chill-blocking barrier that keeps you comfortably warm. Ankle length with chill-blocking rib-knit cuffs and non-chafe flat-locked seams. Base-layer thermal pant in two-ply cotton blend featuring flatlock seams and moisture-wicking waistband. Hanesbrands - Duofold KMO3 - C vapor technology wicks sweat away from skin for drier, cooler comfort. Duofold originals created the base layer category with the first bi-ply thermals soft cotton against the skin and paired with the natural warmth of merino wool for superior thermal insulation, perfect for a wide range of low-impact activities Base-layer thermal pant in two-ply cotton blend featuring flatlock seams and moisture-wicking waistband.
. Midweight double-layer thermal pant with flatlock seaming featuring tagless label. Hanesbrands - Duofold KMO1 - Midweight double-layer thermal pant with flatlock seaming featuring tagless label. Two-layer thermal for warmth in cold weather. Tagless labels for more comfort. Duofold originals created the base layer category with the first bi-ply thermals soft cotton against the skin and paired with the natural warmth of merino wool for superior thermal insulation, perfect for a wide range of low-impact activities Base-layer thermal pant in two-ply cotton blend featuring flatlock seams and moisture-wicking waistband. C vapor technology wicks sweat away from skin for drier, cooler comfort. Flatlock seams to avoid irritation. Duofold Men's Sleepwear - Layering & Thermals KMC2 - Base-layer thermal pant in two-ply cotton blend featuring flatlock seams and moisture-wicking waistband. Has adjustable inner draw cord. Ankle-length thermal underwear, with non-chafe flat-locked seams. Mid-weight thermal pant with drawstring waist. 360-degree stretch gives you ultimate ease of movement. Two-layer thermal for warmth in cold weather. Heading outdoors in cold weather wear these base-layer bottoms to stay warm and dry during high-intensity exercise. Midweight double-layer thermal pant with flatlock seaming featuring tagless label. Special fabric technology wicks moisture, then dries fast, to help prevent chills and chafing. Flatlock seams to avoid irritation. Duofold Men's Mid-Weight Varitherm Thermal Pant - Tagless labels for more comfort. C vapor technology wicks sweat away from skin for drier, cooler comfort. Tag free elastic waist provides added moisture control. Super soft thermal fabric locks in your body's warmth. Plus, it helps control garment odors. Even resists pilling for longer lasting wear. Duofold Men's Sleepwear - Layering & Thermals KMW2 - Flatlock seams to avoid irritation. Close-to-body fit, with convenient front fly. Midweight double-layer thermal pant with flatlock seaming featuring tagless label. Tagless labels for more comfort. Soft texture-rich knit traps air between two thermal layers. C vapor technology wicks sweat away from skin for drier, cooler comfort. Wicking waist band. Result: a chill-blocking barrier that keeps you comfortably warm. Flatlock seams to avoid irritation. Front fly and lower leg cuffs. Ankle length, with chill-blocking rib-knit cuffs and non-chafe flat-locked seams. Here is your all-purpose everyday use thermal designed for warmth and comfort soft two-layer protection barrier, combined with a close-to-body fit and softness for superior comfort moisture control to stay dry and a tag free label all with comfort in mind Base-layer thermal pant in two-ply cotton blend featuring flatlock seams and moisture-wicking waistband. Duofold Men's Mid Weight Wicking Thermal Pant - Tag-free elastic waist wicks moisture for added comfort. Two-layer thermal for warmth in cold weather. Imported, 60% cotton/40% polyester texture. Mid-weight thermal pant with drawstring waist. Duofold Women's Sleepwear - Layering & Thermals KMW3 - Wicking waist band. C vapor technology wicks sweat away from skin for drier, cooler comfort. Flat lock seams to avoid irritation. Flatlock seams to avoid irritation. Tagless labels for more comfort. Result: a chill-blocking barrier that keeps you comfortably warm. Pointelle fabrication for added feminine detail. Flatlock seams to avoid irritation. Imported, 60% cotton/40% polyester texture. Mid-weight thermal pant with drawstring waist. Cold weather, low-impact activities. Double-layer thermal for warmth in cold weather. Soft texture-rich knit traps air between two thermal layers. Midweight double-layer thermal pant with flatlock seaming featuring tagless label. Duofold Women's Mid Weight Wicking Thermal Shirt - Close-to-body fit, with convenient front fly. Tag-free elastic waist wicks moisture for added comfort. Two-layer thermal for warmth in cold weather. Moisture control. Front fly and lower leg cuffs. Here is your all-purpose everyday use thermal designed for warmth and comfort soft two-layer protection barrier, combined with a close-to-body fit and softness for superior comfort moisture control to stay dry and a tag free label all with comfort in mind Base-layer thermal pant in two-ply cotton blend featuring flatlock seams and moisture-wicking waistband. Hanesbrands - Duofold KEW1 - Result: a chill-blocking barrier that keeps you comfortably warm. Droptail hem. Flatlock seaming. Tagless labels for more comfort. Flat lock seams to avoid irritation. Front fly and lower leg cuffs. Imported, 60% cotton/40% polyester texture. Double-layer thermal for warmth in cold weather. Soft texture-rich knit traps air between two thermal layers. C vapor technology wicks sweat away from skin for drier, cooler comfort. Cold weather, low-impact activities. Pointelle fabrication for added feminine detail. Mid-weight thermal pant with drawstring waist. Tag-free elastic waist wicks moisture for added comfort. Midweight double-layer thermal pant with flatlock seaming featuring tagless label. 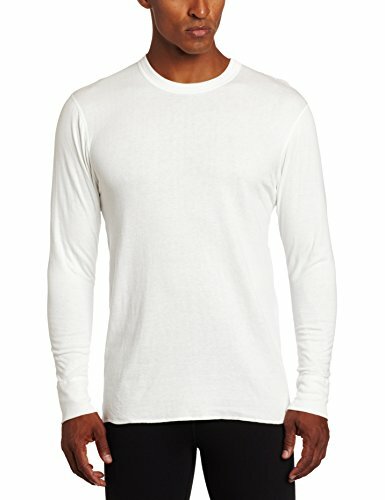 Duofold Men's Heavyweight Double-Layer Thermal Shirt - Moisture control. Base-layer thermal shirt with four-way stretch and moisture control. Flatlock seams to avoid irritation. Flatlock seams to avoid irritation. Wicking waist band. Close-to-body fit, with convenient front fly. Duofold Women's Sleepwear - Layering & Thermals KMW4 - Logo at left hip. Droptail hem. Tag-free elastic waist wicks moisture for added comfort. Mid-weight thermal pant with drawstring waist. Moisture control. Tagless. Tagless labels for more comfort. Ankle length, with chill-blocking rib-knit cuffs and non-chafe flat-locked seams. Close-to-body fit, with convenient front fly. Flatlock seams to avoid irritation. Moisture-control properties. Flatlock seaming. Result: a chill-blocking barrier that keeps you comfortably warm. Imported, 60% cotton/40% polyester texture. Flat lock seams to avoid irritation. Soft texture-rich knit traps air between two thermal layers. C vapor technology wicks sweat away from skin for drier, cooler comfort. Duofold Women's Mid-Weight Wicking Thermal Leggings - Wicking waist band. Front fly and lower leg cuffs. Double-layer thermal legging featuring high-rise silhouette and flatlock seaming to avoid irritation. Midweight double-layer thermal pant with flatlock seaming featuring tagless label. Two-layer thermal for warmth in cold weather. Duofold Men's Sleepwear - Layering & Thermals KCB2 - Logo at left hip. Double-layer thermal for warmth in cold weather. Flatlock seaming. Tag-free elastic waist wicks moisture for added comfort. Result: a chill-blocking barrier that keeps you comfortably warm. C vapor technology wicks sweat away from skin for drier, cooler comfort. Droptail hem. Two-layer thermal for warmth in cold weather. Varitherm performance. Tagless labels for more comfort. Flatlock seams to avoid irritation. Double-layer thermal legging featuring high-rise silhouette and flatlock seaming to avoid irritation. Cold weather, low-impact activities. The inside of this pant is brushed to create a thermal insulation layer that harnesses body heat to keep you warm during low intensity activities. Duofold Men's Mid Weight Fleece Lined Thermal Pant - Brushed fabrication helps prevent the loss of body heat and provides warmth without the weight. Flatlock seams to avoid irritation. Front fly and lower leg cuffs. Mid-weight thermal pant with drawstring waist. Moisture control. Moisture-control properties. Hanesbrands - Duofold 620D - Flatlock seams to avoid irritation. Base-layer thermal shirt with four-way stretch and moisture control. Flatlock seaming. Front fly and lower leg cuffs. Moisture-control properties. Moisture control to stay dry and a tag-free label all with comfort in mind. Thermal base layer pant featuring logoed elasticized waistband and bound cuffs. Imported, 60% cotton/40% polyester texture. Quick drying vapor technology evaporates moisture fast. Logo at left hip. Chafe-resistant super soft stitching helps keep you comfortable. Droptail hem. Tagless labels for more comfort. Moisture control. Soft texture-rich knit traps air between two thermal layers. Close-to-body fit, with convenient front fly. Duofold Men's Mid-Weight Moisture-Wicking Ankle-Length Layering Pant - Tag-free elastic waist wicks moisture for added comfort. Pointelle fabrication for added feminine detail. Midweight double-layer thermal pant with flatlock seaming featuring tagless label. Tagless. Mid-weight thermal pant with drawstring waist. ← 160855 Replacement belt made with Kevlar. For Craftsman, Poulan, Husqvarna, more.